In 2018, keeping prices firm was the main theme in China’s PVA market. Supported by the cost side, the PVA prices were at a high level at the beginning of 2018. The PVA enterprises continued to carry out the production restriction, and the operating rates were generally low. Under the circumstances of low social inventory, most players had the rigid demand for replenishment, which made the PVA prices remain at a high level. The PVA market was filled with bearish sentiment due to the declining demand and cost. But considering that the PVA products were convenient to store, traders always stocked up when the prices were low, which seriously affected the profit at PVA enterprises. Therefore, PVA enterprises began to explore a new marketing model in 2018. Although the output was reduced to some extent, the bargaining power of PVA enterprises increased, guaranteeing the profit margin. Can the new marketing model continue to exist? Under the environmental protection policy, can the development of water-based coatings bring new opportunities and push up the PVA industry? SCI has engaged in commodity research for 15 years. Based on the original data collected by SCI and combined with domestic macro policies and industry characteristics, this report reviews the 2018 PVA market in detail. And it also provides the analysis of supply and demand pattern, profit changes and market sentiment fluctuations by a combination of graphics and texts as well as forecasts future changes and development of PVA industry, so as to help players grasp the market status and future trends. 1. 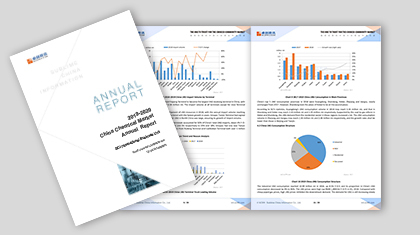 This report will present China’s PVA industry status in 2018. 2. This report will analyze the capacity, output and operating rate in China’s PVA industry in recent five years, so that make clients better understand China’s PVA production status. 3. This report will analyze and forecast the future development of China’s PVA industry through multiple perspectives. Table 10 Tariffs Change for Imported Resources from the U.S.